John Quinn has received instructions to offer No 1 Rowan Avenue, Renmore for sale by private treaty. 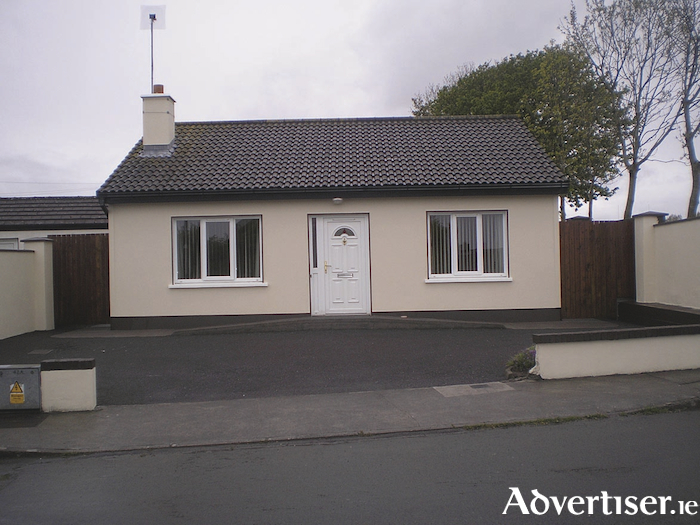 This bungalow is close to every facility in Renmore with schools, church, shops, hospital, and Ballyloughane Beach all within walking distance. The property is in excellent condition throughout and is ready to walk straight into. No 1, has oil fired central heating, double glazing, luxury en suite off the master bedroom, lovely low maintenance gardens, and off street parking. According to John Quinn bungalows rarely become available in Renmore and keen interest is expected in this top quality, superbly finished, two bedroom detached property. The BER is D1 on BER cert no 109948059. The property can be viewed by contacting John Quinn at 091 569174.